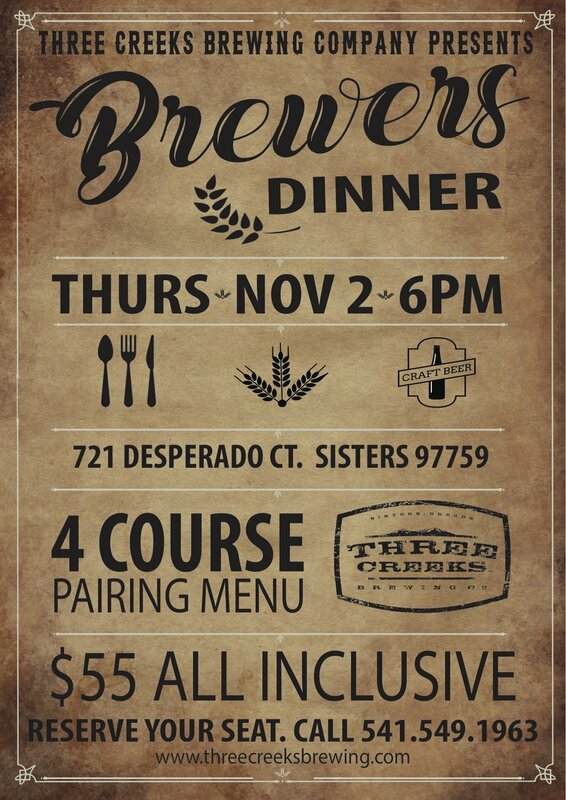 Join us, Thursday, November 2nd, for our semi-annual 4 Course Brewers Dinner. Cost is $55 per person and is all inclusive. Head Chef, Mark Perry, will be cooking up a delectable menu while our Head Brewer, Zach Beckwith, will be assisting in pairing the perfect beer to accompany each course. 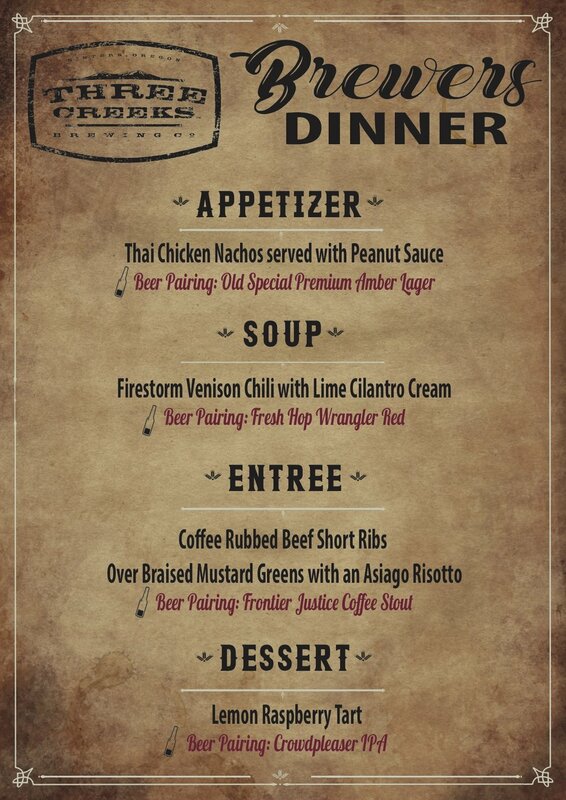 Our menu will include everything from Thai Chicken Nachos to Coffee Rubbed Beef Short Ribs. Scroll down to view the selection. Payment is due at the time of your reservation. There is a limited number of seats available and they are filling up fast. Call 541.549.1963 to reserve your seat today!